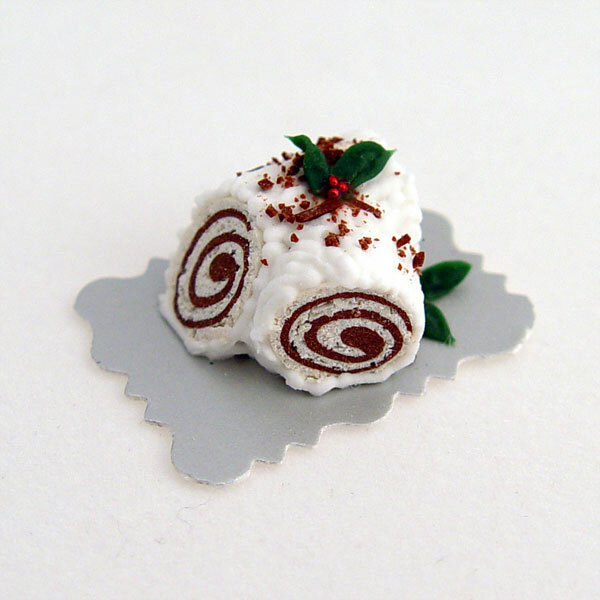 This is a miniature 1/12 scale handcrafted Yule Log cake made with polymer clay. The leaves have tiny veins running through each one with shiny red berries in the center of leaf cluster. It is a roll cake that has realistic cake texture. It is about 3/8"tall by 5/8" long. The cake can be sliced too, and you will receive directions on how to slice it if you so chose. Each one is unique and life-like. Sold individually.